Renovations Roofing & Remodeling, Inc. Welcome to Renovations Roofing & Remodeling Inc.! We are your residential roofing experts for all your roofing needs since 1997. With custom options available, we are happy to work on your home or business property. Let us do your next roof inspection. Our reports note any water damage, animal intrusions, or improper ventilation and design. Renovations Roofing & Remodeling Inc. services many roof repairs and remodeling designs. While working on your roof, we also work alongside you to make sure you know exactly the quality of craftsmanship and products you will be getting. We also provide great gutter options to complete your roofing project. From clogs and holes to installation and downspouts, we can fix all your gutter projects. The best gutters come in different colors and styles to match your property’s exterior. Why choose Renovations Roofing and Remodeling, Inc.? Complete and thorough bid focused on your total needs, not just a shingle job! Deal direct with the owners, not a salesperson who then hands your project off. National brand products, not private label from some unknown manufacturer. 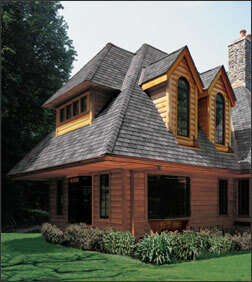 Our certifications come from the world’s largest shingle manufacturers. For the customer, this means knowing that you are hiring a fully licensed and insured company. In addition, all of our project managers and crews are educated to install a roofing system that meets and/or exceeds all specifications for proper installation requirements including local building codes. These certifications also allow us to offer a full line of extended warranties. Would you like to learn more about Renovations Roofing & Remodeling Inc.? Please contact us or request a quote today by using our online quote form. Top Traits of Our Ideal Customers: Are You The Right Fit? © 2019 Renovations Roofing & Remodeling, Inc.